Expedition cruising has to be flexible so as to respond to nature and the environment outside. Days are often filled with unscripted moments - wildlife sightings, weather changes, spontaneous experiences that take you by surprise. While traditional cruises in bigger ships hop from port to port, keeping to a tidy schedule, an expedition ship goes wherever the action is, the schedule continuously subject to change. The capabilities of our expedition ship will enhance your journey, and take you further than any other form of exploration. There are crowning moments in every holiday you take, but only an expedition ship can deliver the freedom of exploration. It's a special experience! Ocean Endeavour is an expedition vessel - she is not luxurious. Accommodation is comfortable 4 star. With a capacity of just 198 guests, Ocean Endeavour boasts a 1B Ice Class rating, enabling her to freely explore right through the arctic summer. At 137 metres in length, she has plenty of space, inside and out on deck. The ample decks offer comfortable lounge chairs, a swimming pool (if you're game! ), two saunas and a hot tub jacuzzi. The spacious interior allows for three lounges where varied presentations and workshops can take place simultaneously. The ship's shallow draft & manoeuvrability allow access to fjords, bays and isolated communities. Ocean Endeavour is an ideal expedition vessel, outfitted with 20 zodiacs, advanced navigation equipment, multiple lounges, and a 'top deck' observation room. She is purpose-built for comfortable passenger experiences in remote environments. Managing directors Beth and Bob Malcolm are champions of the travel industry, with collectively more than 30 years' experience between them. Beth is well recognised in the travel and tourism sector as the past National Vice-President of the Australian Institute of Travel and Tourism, and as the two-time winner of the Australian Travel Management Award. 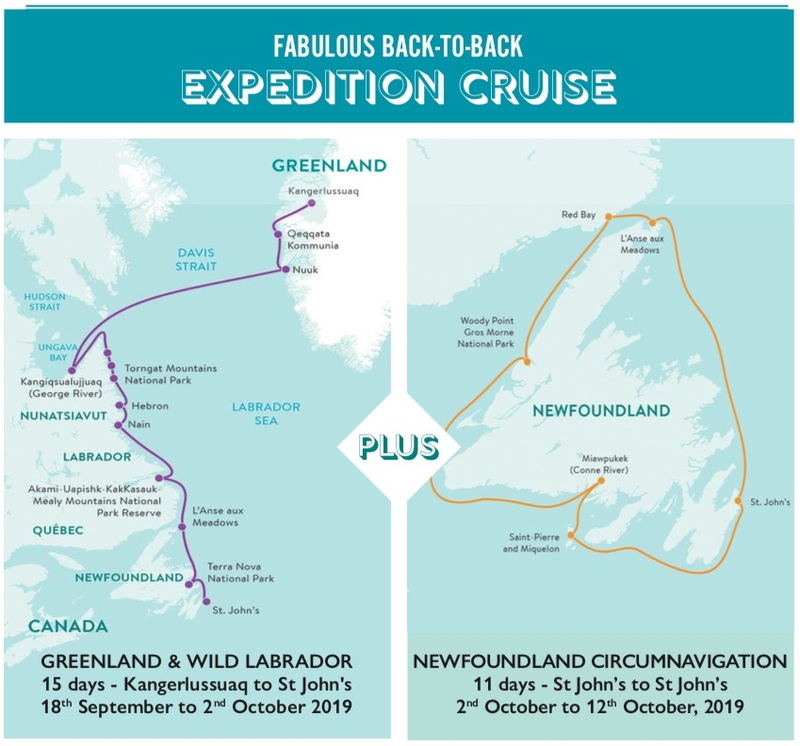 People who ordered Arctic Greenland & Wild Atlantic Canada also ordered the free travel brochures below. Click on the images to find out more about these brochures.